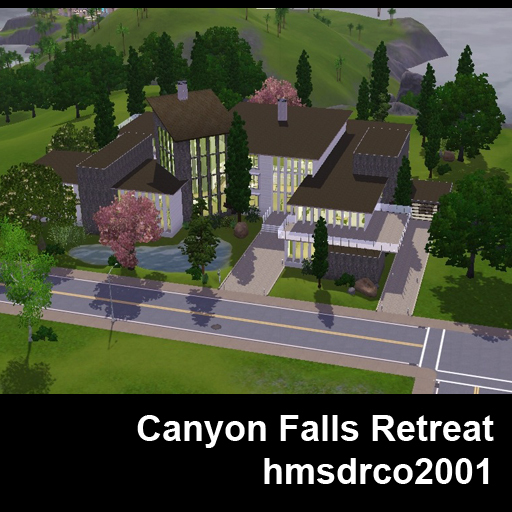 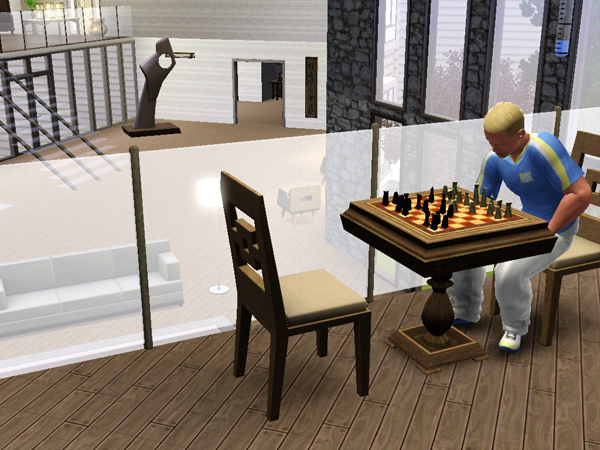 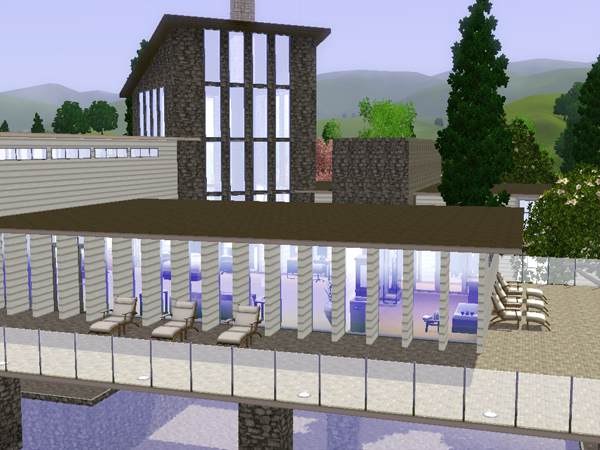 I shared my very first home, Canyon Falls Retreat, back in August 2010. 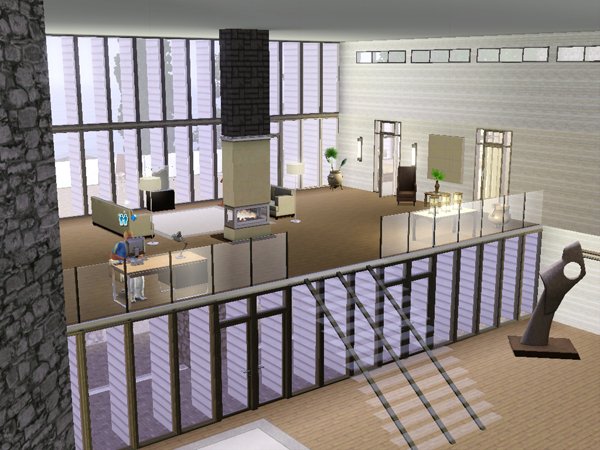 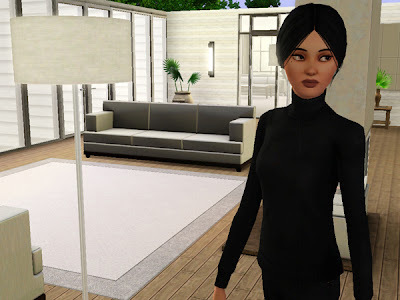 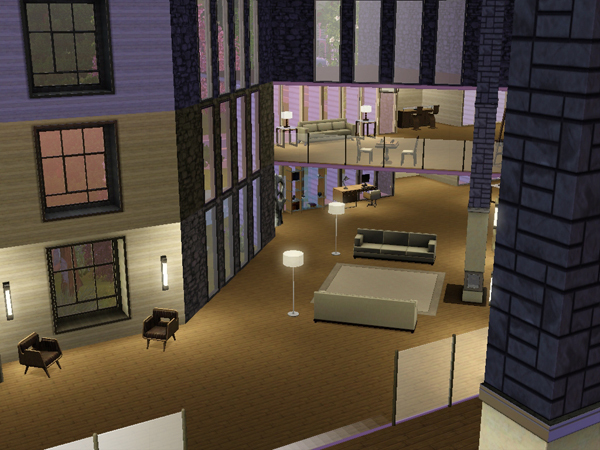 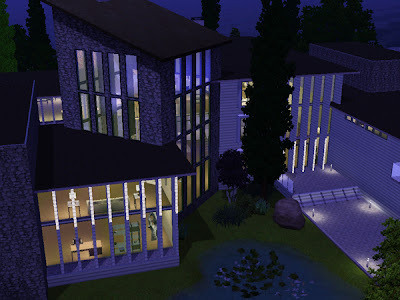 Up until that point, I had only remodeled houses already provided in the game, but I was inspired by other builders (Sim Eve, for example) to make my own designs. 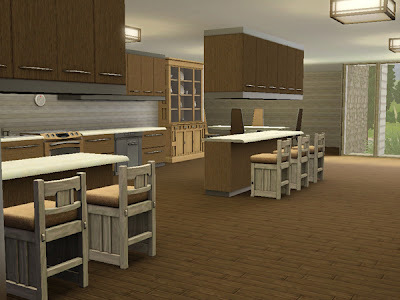 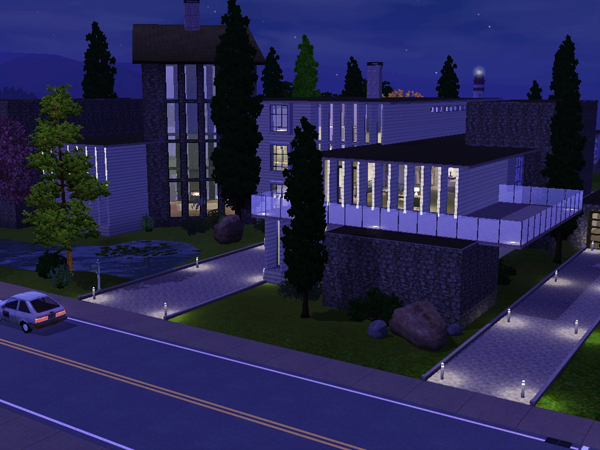 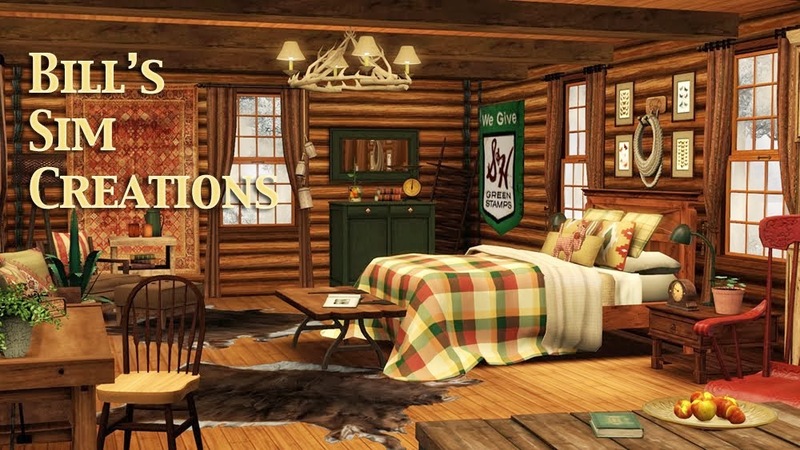 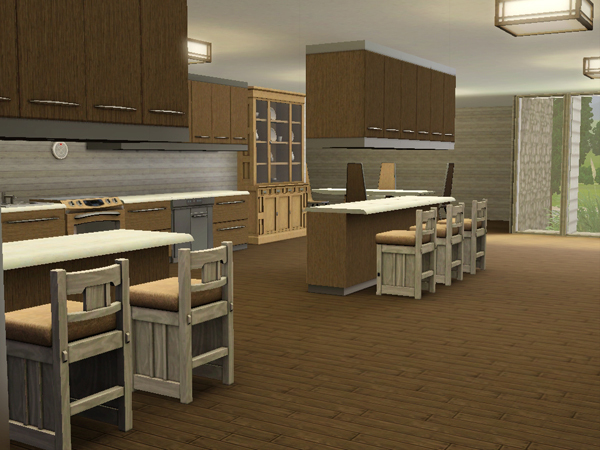 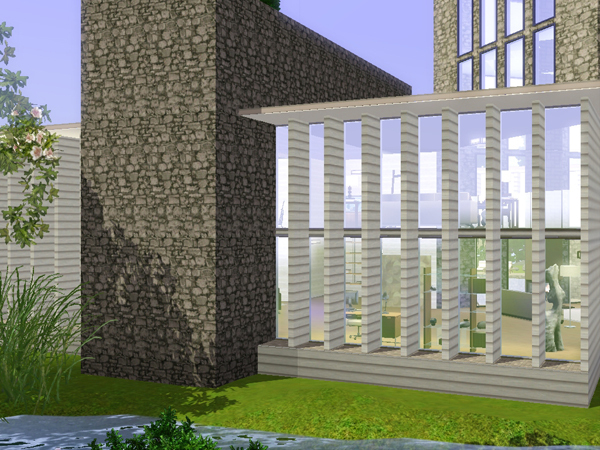 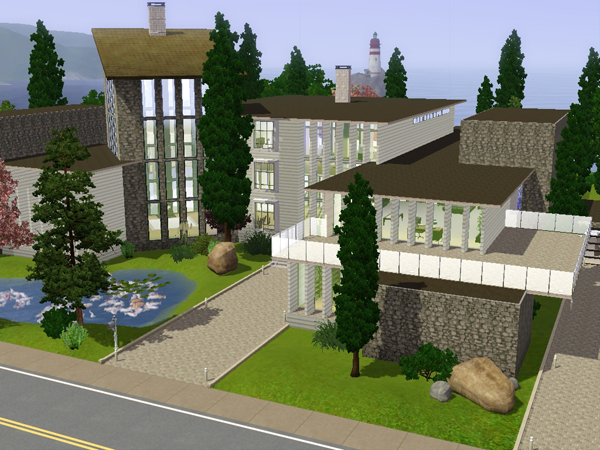 So this was my first attempt, one that I look back on with a bit of embarrassment but also appreciation for all of the things I've learned from the Simming community since then about building, interior design, and landscaping.